An American pediatricians group is calling for “urgently needed reform” to the federal food additive regulatory process in order to limit exposure—particularly for children—to chemicals that are used to process, package, and preserve everyday foods. 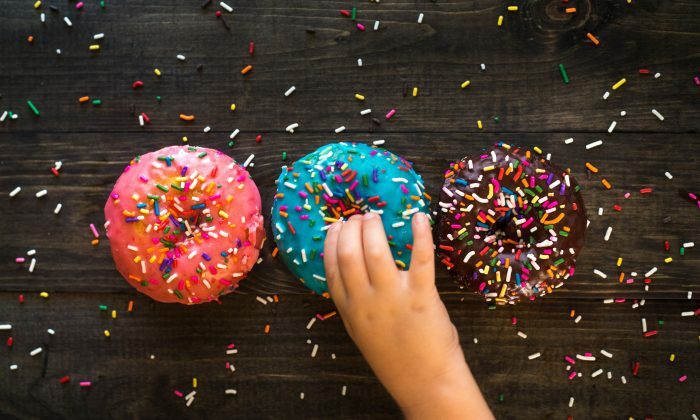 According to a new policy statement and an accompanying technical report by the American Academy of Pediatrics, there are child health concerns related to the use of “colorings, flavorings, and chemicals” that are deliberately added to food during processing. These are known as direct food additives. There are also concerns about indirect food additives, which are the substances that may “contaminate food as part of packaging or manufacturing equipment.” These substances include adhesives, dyes, coatings, paper, paperboard, plastic, and other polymers. The group cited an increasing number of studies in their July 23 report that suggested that “some food additives can interfere with a child’s hormones, growth, and development.” Some additives are also believed to increase the risk of childhood obesity, for which rates have tripled since the 1970s. “There are critical weaknesses in the current food additives regulatory process, which doesn’t do enough to ensure all chemicals added to foods are safe enough to be part of a family’s diet,” said Dr. Leonardo Trasande, lead author of the policy statement, in a statement. Currently, more than 10,000 additives that preserve, package, or modify the taste, appearance, texture, or nutrients in foods, are allowed by the United States. Most of these, the group says, were granted approval during the 1950s, and roughly 1000 additives were used under a “generally recognized as safe” designation process that does not require US Food and Drug Administration (FDA) approval. The additives of most concern, according to the group, include bisphenols, phthalates, nonpersistent pesticides, perfluoroalkyl chemicals, perchlorate, and artificial food colors. The health concerns stemming from these chemicals can include puberty changes, decreased fertility, reduced immunity, reduced fertility, childhood obesity, contribution to cardiovascular disease, and disruption to early life brain development and growth. “Even small disruptions at key moments during development can have lifelong consequences,” Trasande said.